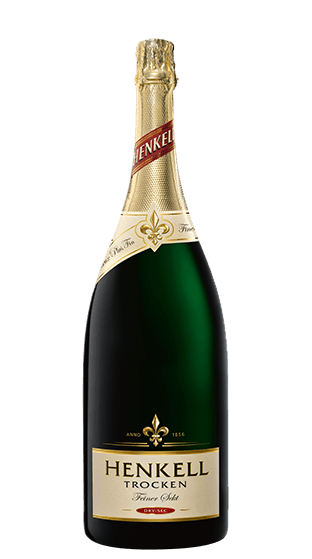 Founded in 1856 Henkell Trocken is an absolute exception in the German and international markets for sparkling wine. For many decades, it has also been prized as the classic German sparkling wine. 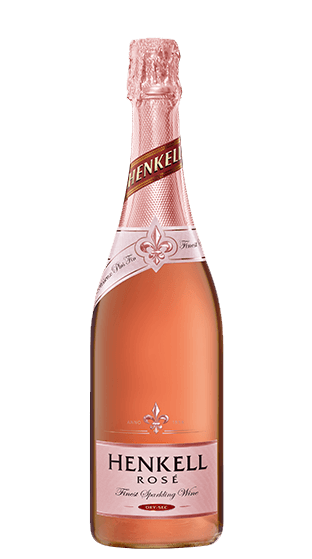 Henkell Trocken is a top-quality brand presenting itself on the market with familiar assurance and verve. 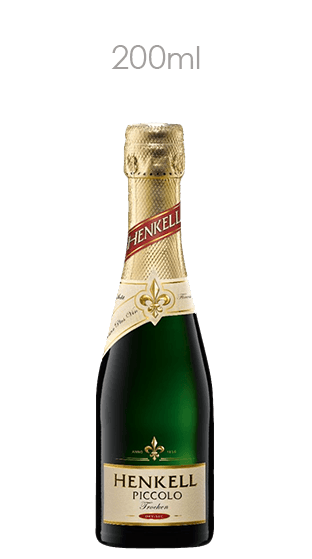 Consumers of every age appreciate Henkell Trocken because of its dry, fully mature sparkling wine taste and its gently scented, rounded bouquet. Only selected wines from classical grapes are used in the cuvee. The 175th anniversary of the founding of a wine merchants business - originally under the same name of Weinhandlung Henkell & Cie - was celebrated in 2007. 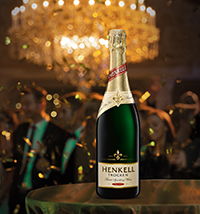 Even today Henkell Trocken's reputation is sparkling. 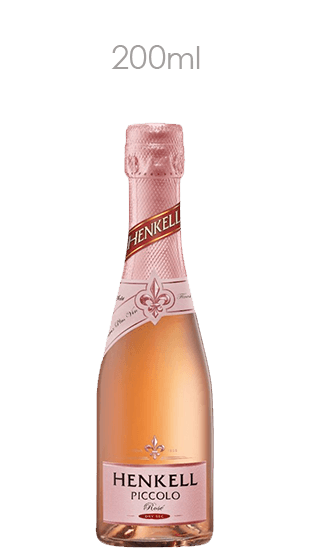 Henkell Trocken which is not only Germany's favourite, but also the most exported sparkling wine - with more than 20 million bottles sold world-wide per year. 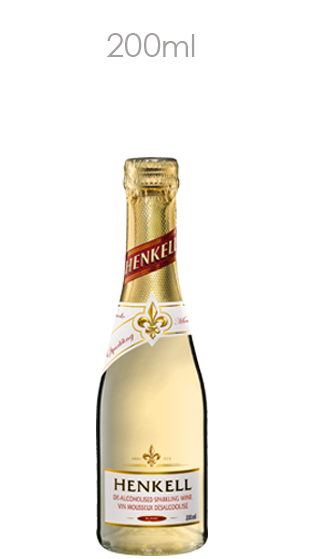 The taste is fresh, lively, with a subtle fragrant suggestion of tropical fruit on the bouquet. 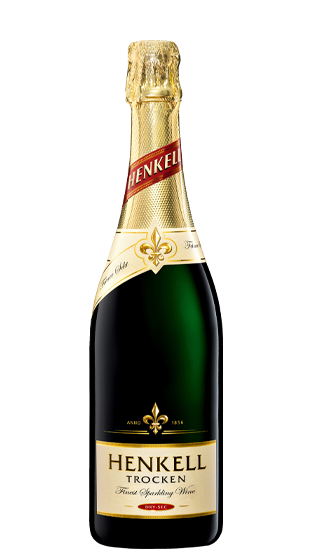 The finely blended, harmonious composition makes Henkell Trocken a well-balanced, consummate taste experience.